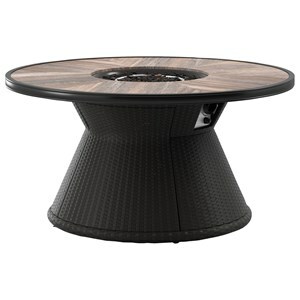 This bar-height fire pit table features plank effect styling on the sides and tabletop, giving this piece - and your outdoor space - a more refined look. Revel in the warmth and beauty of the flickering flames over glass beads, or use the burner cover for added table space. Two doors offer easy access to the propane tank, along with additional storage. 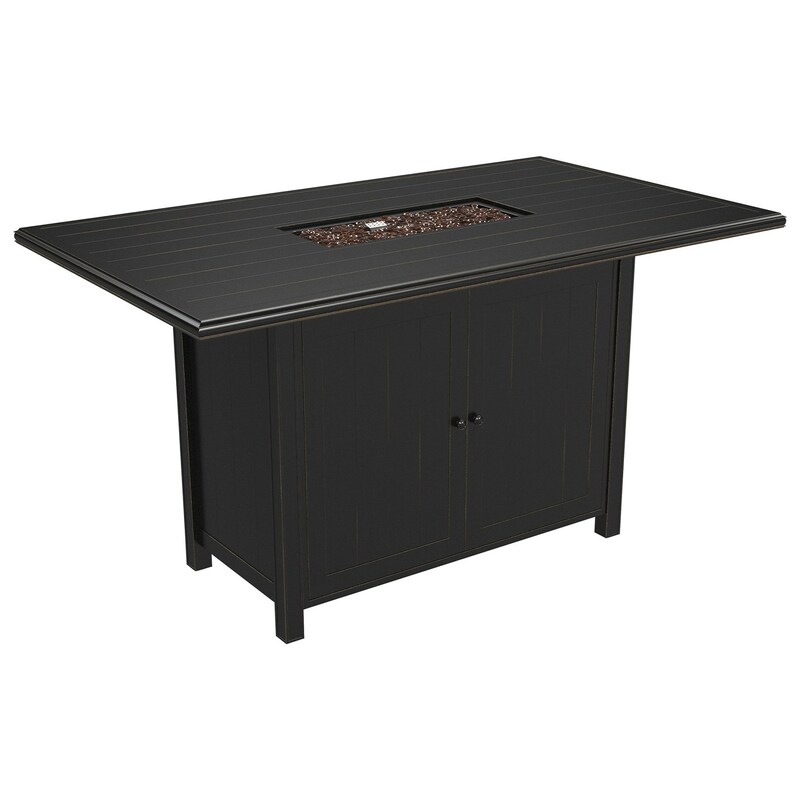 The Perrymount Rectangular Fire Pit Bar Table by Signature Design by Ashley at Miskelly Furniture in the Jackson, Pearl, Madison, Ridgeland, Flowood Mississippi area. Product availability may vary. Contact us for the most current availability on this product. The Perrymount collection is a great option if you are looking for Contemporary Outdoor Furniture in the Jackson, Pearl, Madison, Ridgeland, Flowood Mississippi area. Browse other items in the Perrymount collection from Miskelly Furniture in the Jackson, Pearl, Madison, Ridgeland, Flowood Mississippi area.